Learn the science behind weather and weather prediction in this clear and straightforward new guide.Weather is everywhere, and while it’s typically not thought about most of the time, it can get everyone’s attention in an instant—whether it’s the swirling destruction of a tornado, the wreckage from a hurricane, or the havoc of climate change on the environment. 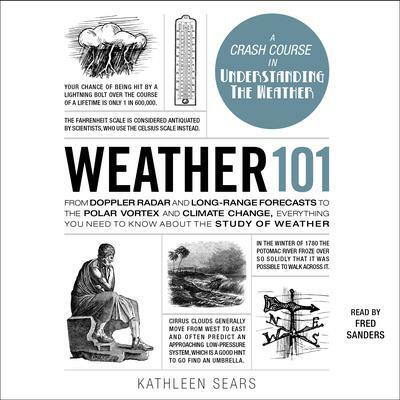 Weather 101 gives you the basics on weather, from blue skies to hail to dust storms, with information on the science of how weather works, how to predict the weather in your area, how to be ready for natural disasters, and how climate change is affecting weather patterns across the world. With this guide, you’ll be a weather expert in no time! 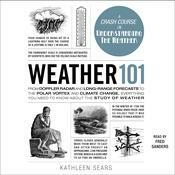 Learn the science behind weather and weather prediction in this clear and straightforward new guide. Weather is everywhere, and while it’s typically not thought about most of the time, it can get everyone’s attention in an instant—whether it’s the swirling destruction of a tornado, the wreckage from a hurricane, or the havoc of climate change on the environment. Weather 101 gives you the basics on weather, from blue skies to hail to dust storms, with information on the science of how weather works, how to predict the weather in your area, how to be ready for natural disasters, and how climate change is affecting weather patterns across the world. With this guide, you’ll be a weather expert in no time!